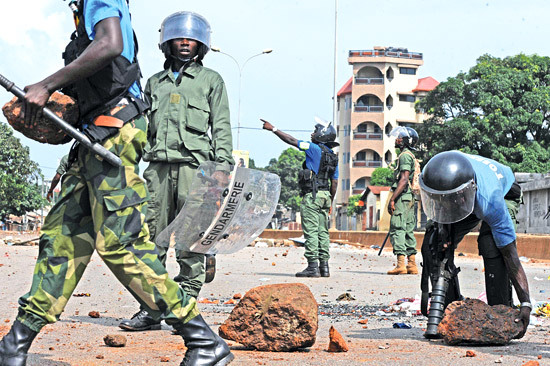 GUINEA: Guinea was in the grips of deadly violence after the naming of opposition leader Alpha Conde as the winner of the first free Presidential election and his rival charged authorities with brutality. Uruguay: Uruguay President Jose Mujica defended the ideals of social justice and said that, as his Ecuadorian counterpart Rafael Correa, and cherishes the dream of a better world for the poor Tuesday in Guayaquil. HAITI: Haiti’s cholera death toll passed 1,000 Tuesday as mounting anger at the health crisis saw tensions spike with UN peacekeepers accused by some of being the source of the outbreak.